To make your dinosaur’s features, add a little melted white chocolate to the antennae, eyes, nose and mouth parts of the large face mould and place in the fridge to set. Once set, fill the rest of the face mould with melted milk chocolate. 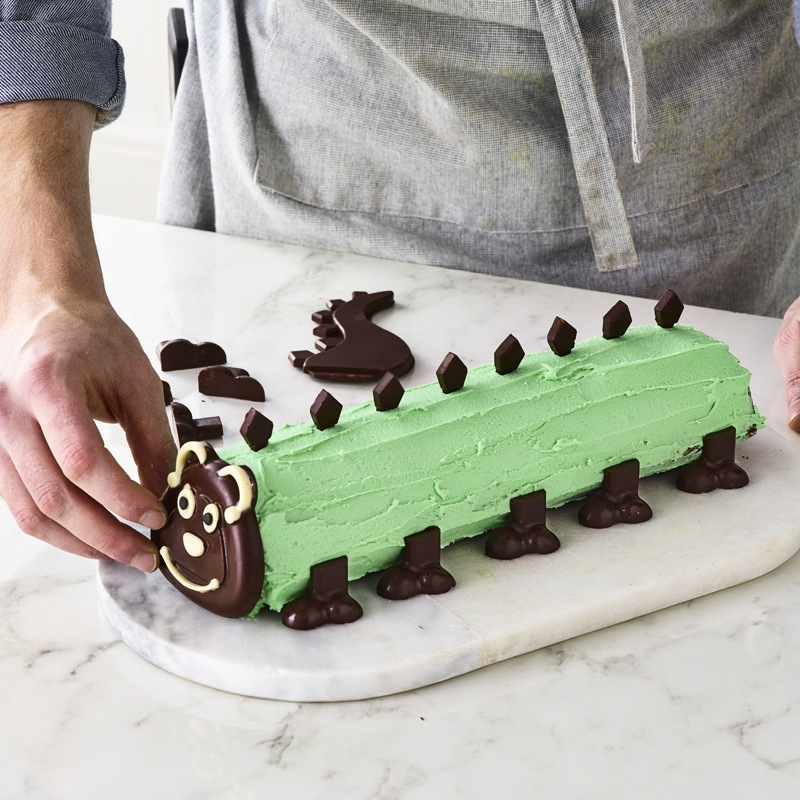 Also fill in the tail, spikes and boots on the larger green mould with milk chocolate. 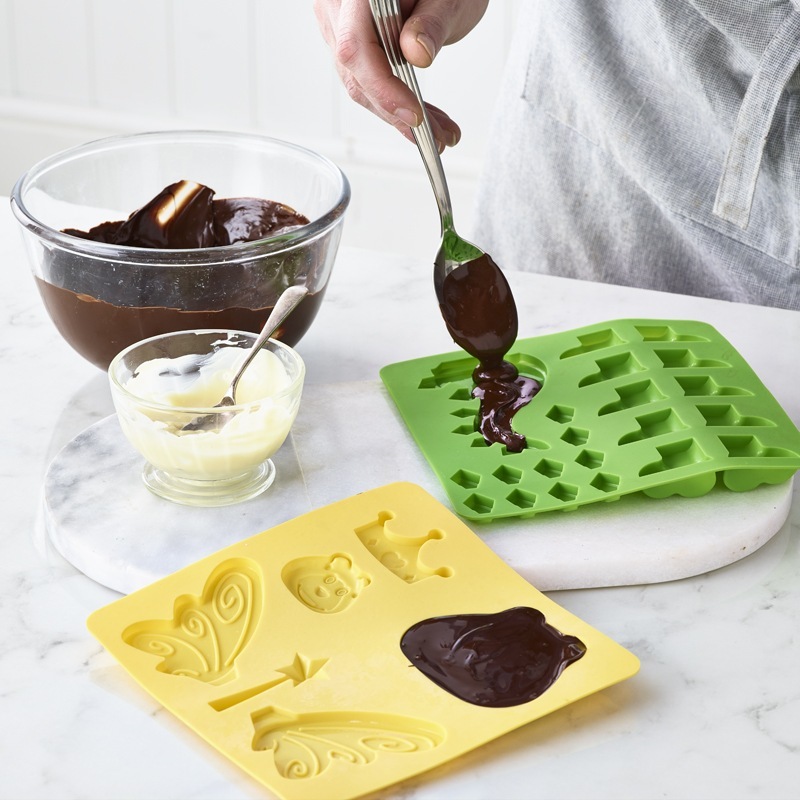 Place both moulds in the fridge to set, then remove and gently pop out all your decorations. Step 4 – dine on dinosaurs! 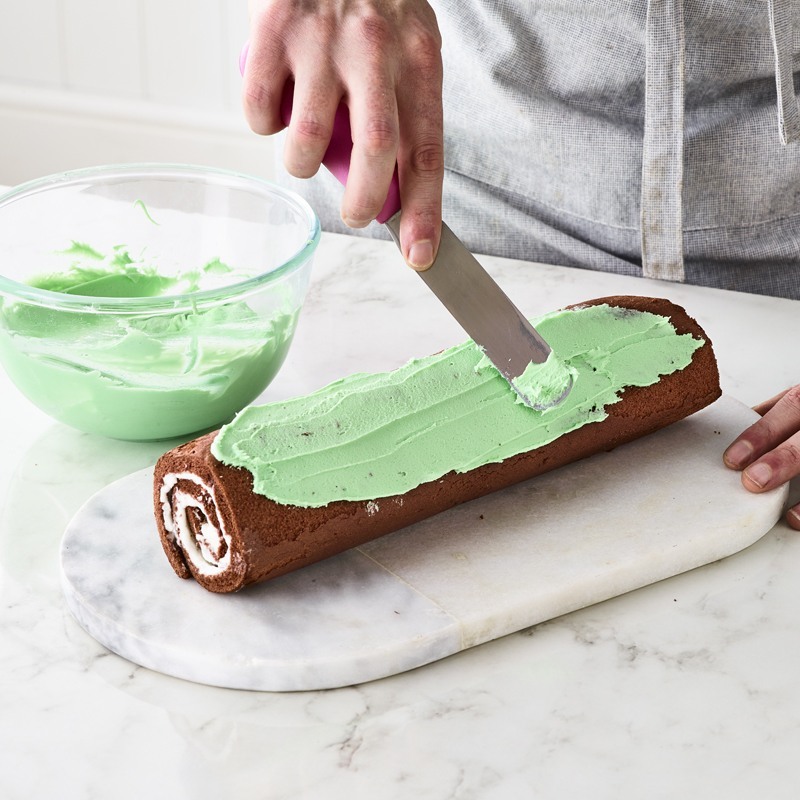 Place your dinopillar on a serving plate and carefully add the decorations – these should stick easily to the buttercream. Add five feet at even intervals on both sides; press the little back plates into the top; and finish off with the face and tail sections. Then all you have to do is serve… and bring yourself to demolish your dinosaur! In search of more prehistoric party pieces? Check out our Dinosaur Face Bakes and Dinosaur Ruffle Cake step-by-steps.